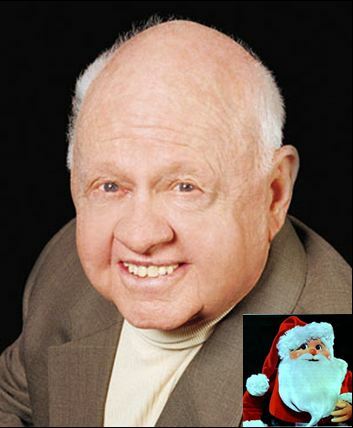 Mickey Rooney was best known as a motion picture actor and entertainer whose film, television, and stage appearances have made him a true American treasure. This legendary entertainer has been awarded an Oscar for Lifetime Achievement, a Juvenile Oscar that he shared with Deana Durbin, one Emmy, as well as five Oscar and five Emmy nominations. Mickey began his long association with Santa Claus in 1969 when he voiced the character for the Rankin/Bass animated, stop action classic Santa Claus is Coming To Town. He subsequently voiced the character of Santa again in The Year Without a Santa Claus (1974), Rudolph and Frosty’s Christmas in July (1979), The Happy Elf (2005), and A Miser Brother’s Christmas (2008).